!! Open for your submissions next Sunday December 2nd at 7:00 PM (CET) !! 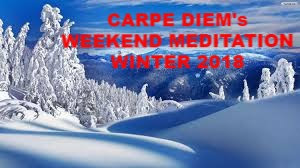 Meteorological seen winter is starting on December 1st, so reason for me to create a new CDHK Weekend Meditation logo for Winter. I hope you like it. 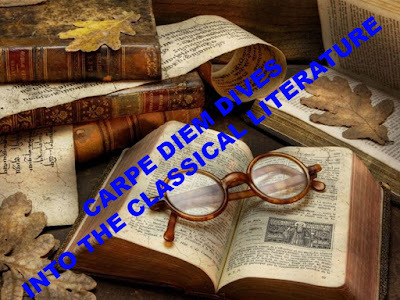 Carpe Diem Dives Into The Classical Literature and asks "is it possible to create haiku, tanka or other form of Japanese poetry from it?" What is the goal of this new feature for our weekend meditation? Every episode I will give you a piece of classical literature, for example Plato or Socrates, and tell you a little background. Your task is to create Japanese poetry inspired on the given text. A kind of "distillation" so to say. [...] "I will tell you, Socrates, he said, what my own feeling is. Men of my age flock together; we are birds of a feather, as the old proverb says; and at our meetings the tale of my acquaintance commonly is--I cannot eat, I cannot drink; the pleasures of youth and love are fled away: there was a good time once, but now that is gone, and life is no longer life. Some complain of the slights which are put upon them by relations, and they will tell you sadly of how many evils their old age is the cause. But to me, Socrates, these complainers seem to blame that which is not really in fault. For if old age were the cause, I too being old, and every other old man, would have felt as they do. But this is not my own experience, nor that of others whom I have known. 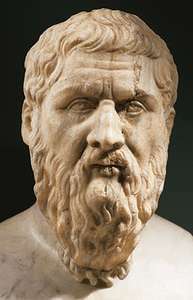 How well I remember the aged poet Sophocles, when in answer to the question, How does love suit with age, Sophocles,--are you still the man you were? Peace, he replied; most gladly have I escaped the thing of which you speak; I feel as if I had escaped from a mad and furious master. His words have often occurred to my mind since, and they seem as good to me now as at the time when he uttered them. For certainly old age has a great sense of calm and freedom; when the passions relax their hold, then, as Sophocles says, we are freed from the grasp not of one mad master only, but of many. The truth is, Socrates, that these regrets, and also the complaints about relations, are to be attributed to the same cause, which is not old age, but men's characters and tempers; for he who is of a calm and happy nature will hardly feel the pressure of age, but to him who is of an opposite disposition youth and age are equally a burden. A nice piece of literature I think, but can you distil haiku, tanka or other Japanese poetry form from it? I am looking forward to your responses. This episode is open for your submissions next Sunday December 2nd at 7:00 PM (CET) and will remain open until December 9th at noon (CET). From today I will use the new linking widget of Mr.Linky. Please respond within 7 days, because this new linking widget has no start or end - date, that's the only thing I don't love about this Mr Linky, so please respond within the 7 days I always give you. Great image in the new logo. Your winter logo/meme looks like the scene outside my window (except no mountains here)...the snow is beautiful!